Our Surgeons expertly recreate the natural appearance you desire. Our surgeons are certified in the use of hyaluronic acid (Restylane, and Juvederm), hydroxyl-apatite (Radiance), Sculptra, and collagen. Restylane - Perlane - Juviderm - Sculptra are commercial cosmetic fillers that provide dramatic results for mproving the appearance of facial lines, wrinkles and folds. This non-surgical procedure restores volume to the face, plumps lips, and depressed scars. Results are immediate with a youthful appearance. Results may last up to 6 to 12 months depending on the commercial cosmetic fller used. Why Choose a Cosmetic Filler? 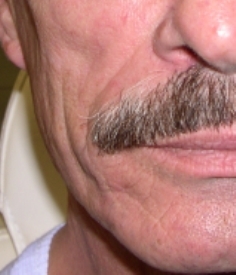 Dr. Dominguez has been injecting collagen and fat for facial volume replacement and into wrinkles and lips since 1988. Dr. Dominguez and the other surgeons will evaluate you and suggest the most appropriate areas to use fillers. Some wrinkles respond better to Botox or other means. 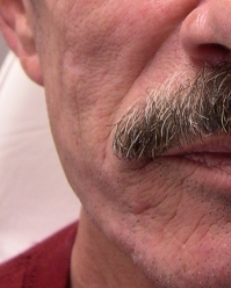 For example, a commercial filler will not tighten the skin, so loose jowls will not be improved with this treatment. However, commercial fillers can certainly be used in conjunction with other cosmetic procedures, including Thermage or laser facial rejuvenation to tighten loose skin, thus offering a beautiful outcome using combined technologies. Commercial fillers very popular since they offer the easiest to use method for immediate improvement on flat aged lips, and deeper, more stubborn wrinkle and scar depressions. Commercial fillers work very well on the lines all around the mouth, worry lines in the forehead, deep crows feet around the eyes, and depressed facial or acne scars. 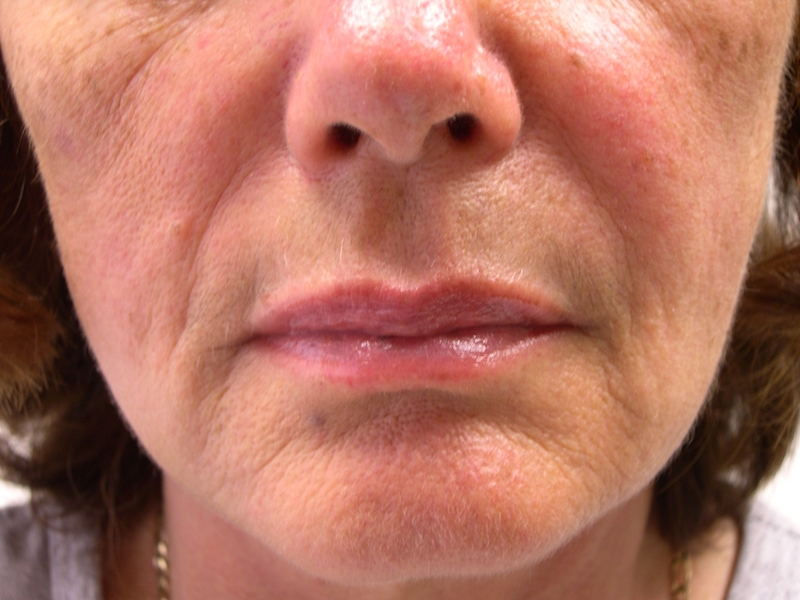 If you've ever desired fuller lips, then Restylane or Juvederm may be the answer! The injections are an in-office treatment usually taking less than 20 minutes of your time. With the help of a small amount of lidocaine, patients generally experience minimal discomfort. During the treatment a tiny needle is used to inject the filler beneath the wrinkle or depression. Unlike collagen which requires immune testing, Restylane allows you to have the procedure immediately with no pre-injection immune testing. There will be swelling for about 1-2 days after the injection. Occasionally bruising may occur. Before and after Restylane Lip Enhancement. 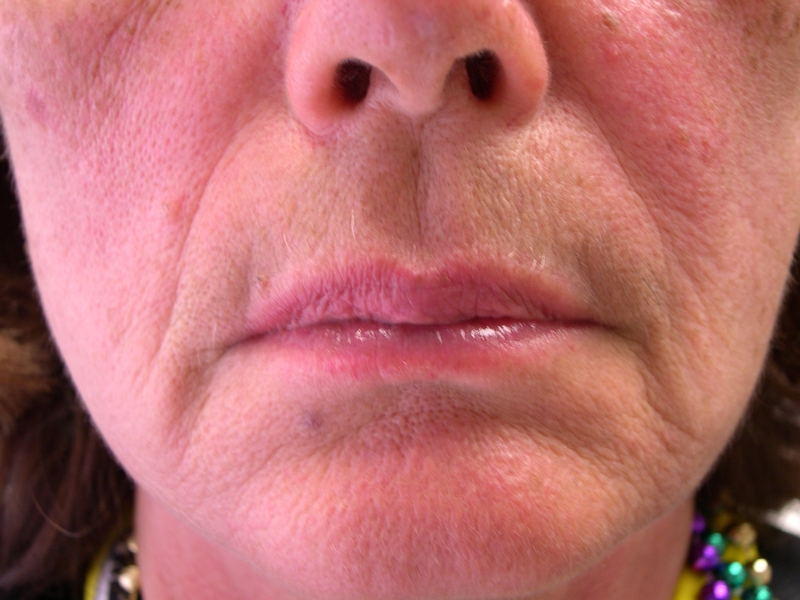 Picture #2 is Immediately after Restylane Lip Enhancement. Picture #3 is 3 months after Restylane Lip Enhancement. What a change in confidence and Beauty!!! 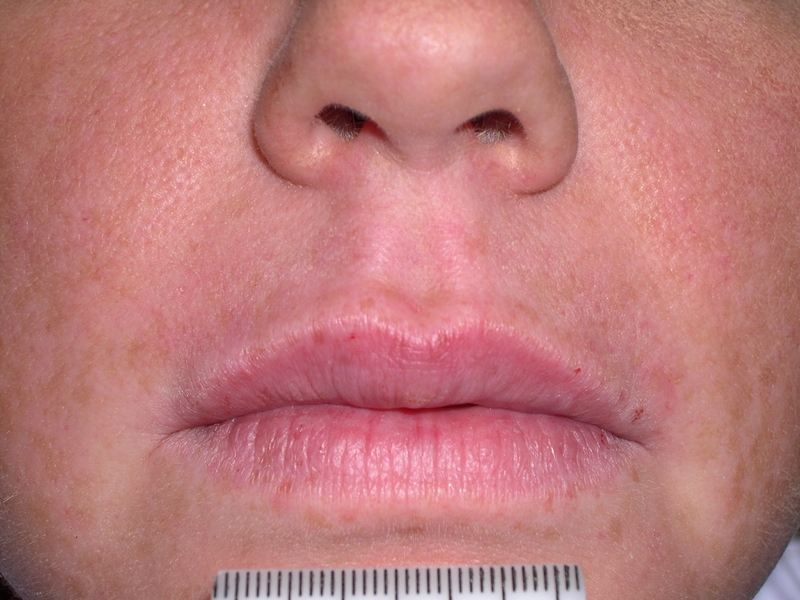 Immediately before and one month After Restylane Lip Enhancement. Just Beautiful!!! Before and two months after Restylane injections to deep wrinkles of the cheeks. Where did they go?